← Myklejord and Taylor Carry The Day at Betmar!! By Earl Ball. What Do You Remember of this Fascinating Adventure??? Please Leave Your Memories in the Comment Section. PLEASE leave YOUR memories of this Inaugural to Norway. 2013 Host Nation, Norway, White Tops; Brazil, Green; USA Blue, and Canada in Red. Twelve of the thirty-four Inauguralites will begin their travel from their primary residences to New York City where they will meet with Jonathan Schnapp on the afternoon of Monday, June 24th. The group will be given a tour of the Royal Palms Shuffleboard Club before flying out on Monday evening. In case some of you have forgotten, or never knew what is planned for the renewal of Shuffleboard in NY, read this: You have to scroll down the page when it opens: http://brooklynbased.net/email/2013/01/2013-bar-and-restaurant-preview/ We can also tell you that some of the travellers may even take in a Broadway Show while in New York!! We hope to be able to follow this Inaugural as the 34 Shufflers arrive in Norway and begin their wonderful adventure!! Stan McCormack. 2013 06 22. I have often written that Shuffleboard is the catalyst in forming relationships that literally last a lifetime. The adventure planned for June of 2013 is such an opportunity!! 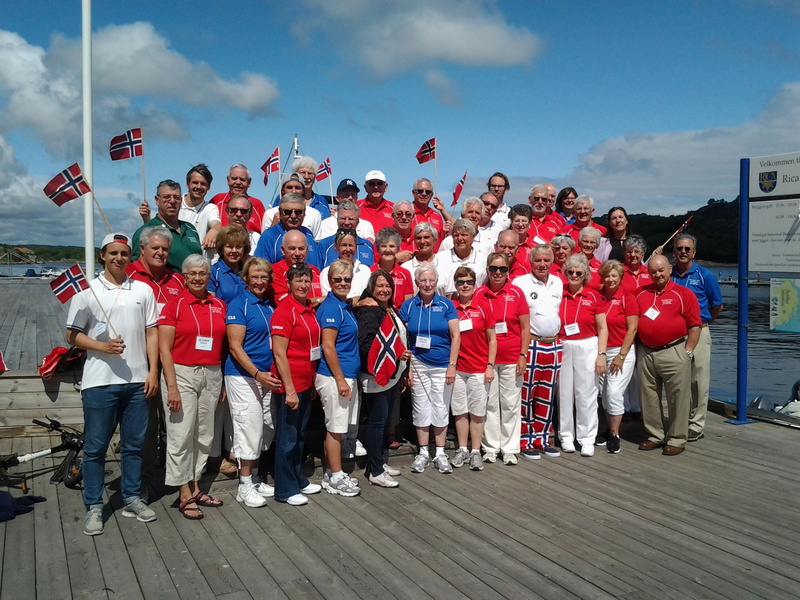 IN SUMMARY: Departure date of New York or Toronto is June 24th, 2013; arrive Norway on June 25th and compete in the Norwegian Open Shuffleboard Tournament on June 26th. June 27th, wind up the Tournament and enjoy an Awards Banquet. June 28th enjoy Oslo’s many sites and enjoy a super dinner at PAAL GJELSETH’s restaurant. On June 30th, you have an option to a) return to New York or Toronto; OR to fly to Moscow for 2 nights. On July 2nd we fly from Moscow to Sochi, have a MeetNGreet Dinner, and on July 3rd travel to the Olympic Village Park; July 4th & 5th, take part in the Russian World Championship. Fly home on July 6th, 2013. For additional details e-mail Jim and Beth at: jballen418@aol.com This is an informative production by Jim; a great review for those who took the trip. Stan McCormack. 2012 09 24. Remember Readers: Don’t try and contact Jim????!! This is a “Look Back Article”. It happened in 2013. Posted by Stan McCormack on 2018 05 15. 4 Responses to What Do You Remember of this Fascinating Adventure??? Please Leave Your Memories in the Comment Section. This was one of the most impressive countries we have ever seen. Norway is a magnificent place to visit with beautiful scenery in any direction we took. But on top of all that beauty, the people we met were such friendly individuals who warmly welcomed us to their country. The resort where we played shuffleboard and enjoyed the fellowship of our new friends was outstanding. Even the wonderful boat ride in the rain could not dampen anyone’s spirits as the laughter aboard the boat clearly indicated! I think the highlight for me was dinner at Paal’s absolutely fabulous restaurant. The decor, food, ambiance, and the camaraderie with our new friends was overwhelming! Thank you once again to the fantastic group from Norway. BTW, recently we had an apportunity to meet our Norwegian friends once again in Norwich, England, with some new faces added. Such a pleasure, and great shufflers also! What a joy to have these amazing shuffleboard events as the catalyst to draw wonderful people together from far away lands who often make lifelong friendships! As always, thanks to Jim & Beth Allen for organizing these unforgettable “opportunities” !! I was proud to be invited on this adventure to start the shuffleboard fire in Norway. We had an outstanding trip and the only thing I regret was not meeting Ragnar Lodbrok. They said he passed away iver 1000 years before.